A wetland created in a rehydrated floodplain. ARE YOU INTERESTED IN BRINGING DEGRADED PARTS OF THE PROPERTY YOU LOVE BACK TO LIFE? Degraded landscapes, particularly incised gullies, are a constant reminder of the damage we’ve caused the Australian landscape through past practices. Every owner of a piece of land wants to leave it in a better condition than they found it, but just the scale of the degradation we see before us can be overwhelming. The fact that an eroded gully drains and dehydrates the surrounding landscape, is often barren, non-productive and lacking in biodiversity, and is an eyesore in the land you love, only adds to the feeling of hopelessness. There’s much that can be done. Just as erosion is a natural process (although sped up big time by European farming methods), so too is there a natural repair process. Left alone these gullies will eventually heal, but over a number of generations. For the health and productivity of the landscape, we can speed up these natural processes, rehydrating the surrounding landscape, increasing productivity and biodiversity, and bringing beauty back to that piece of the land, as well as a great deal of satisfaction for the landowner too. Whether you’re after engineering solutions or low-cost human scale techniques, we can help you get the most positive result for your effort. 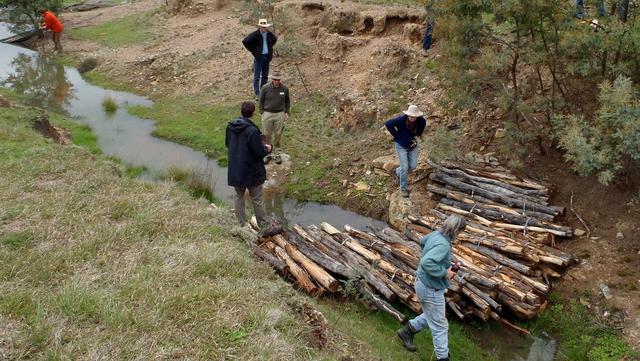 Landholders get to work on some gully repair structures using local materials at aYass Landcare Field Day. A great way to get repair work happening on your place is to run a Field Day. Please click on education link. 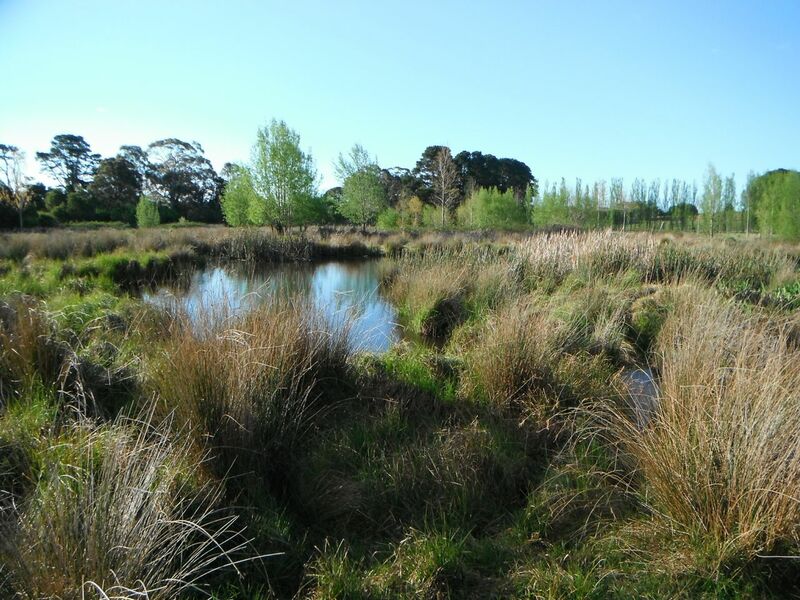 If you’d like to bring productivity, biodiversity, beauty and life back to your landscape, we’d love to work with you. Please get in touch to find out how we can best work together.